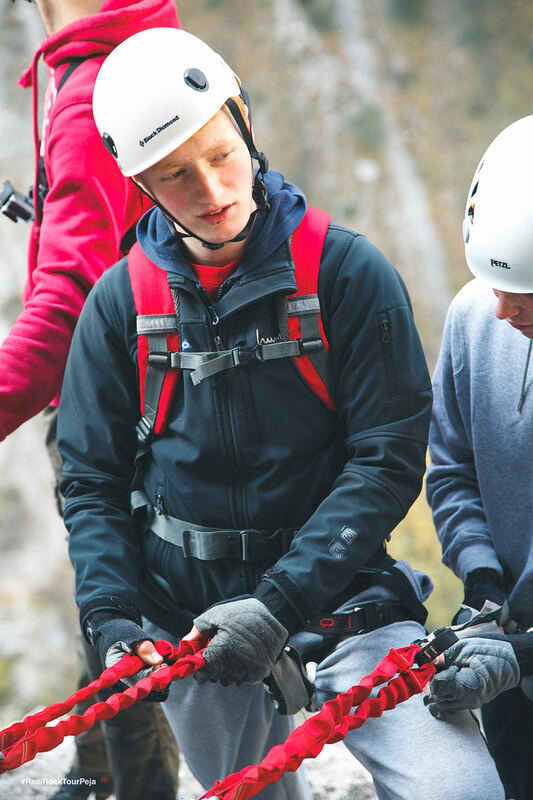 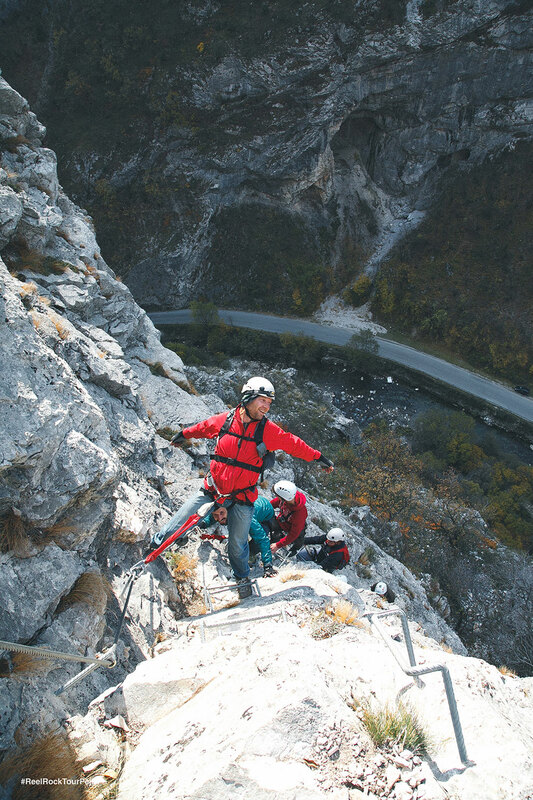 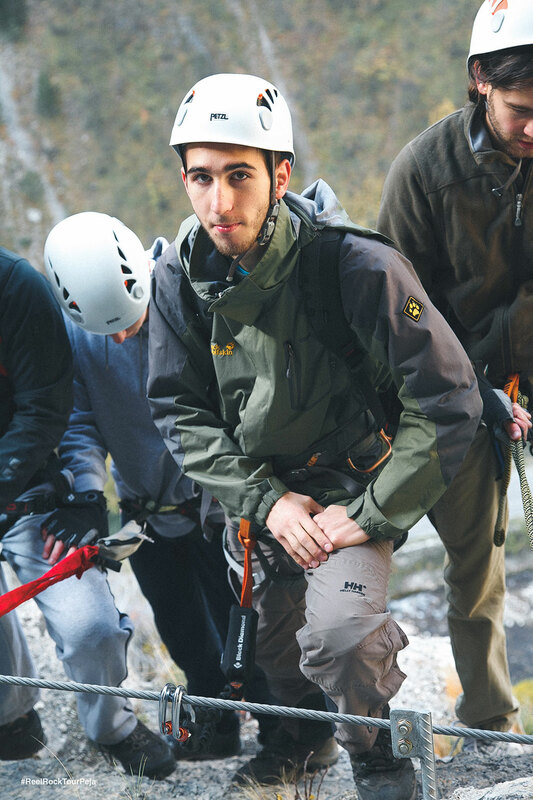 Kosovo’s first via ferrata was built in 2014, in the Rugova Canyon just outside of Peja, a city in the southwest part of the country. 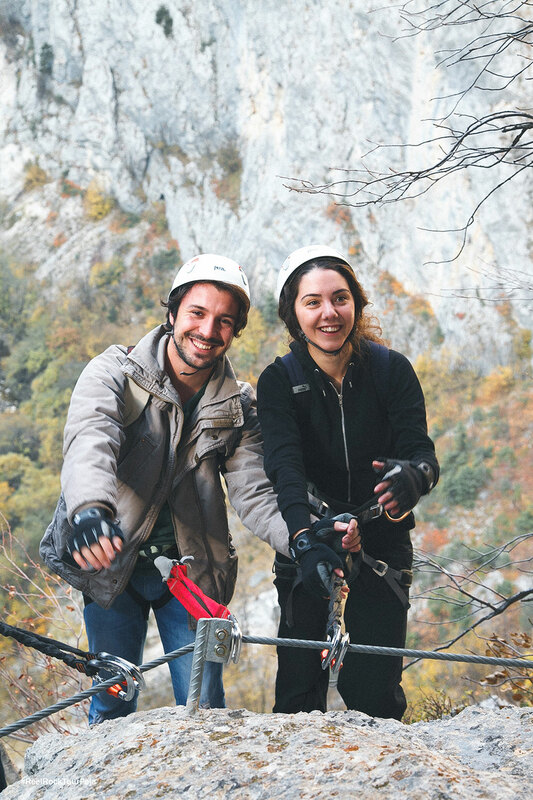 On this tour, travelers and adventure lovers will tackle a 100-meter vertical climb and visit the Quines Cave. 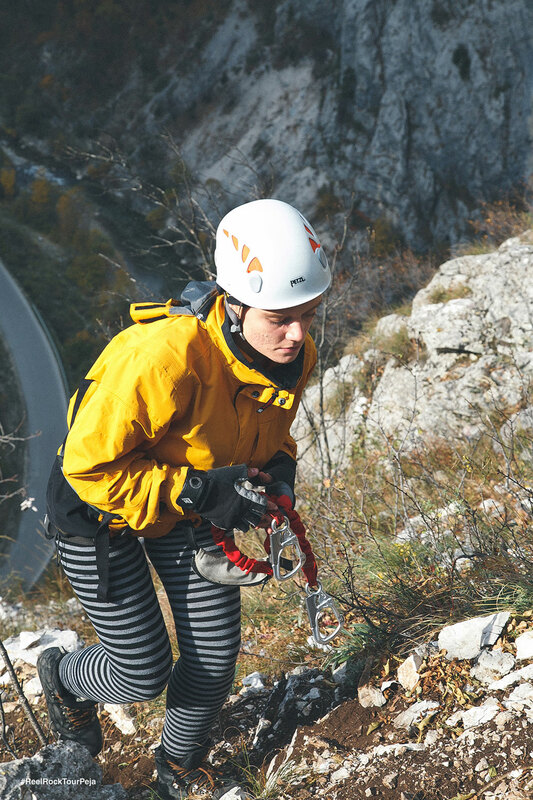 This via ferrata, which is like dancing on the rock, is an incredible introduction to the region and the welcoming landscapes that await across the country. 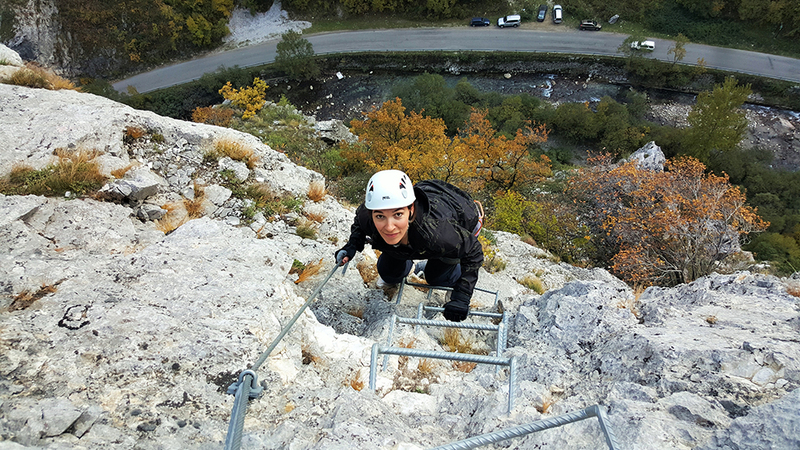 There’s no need to be a good climber, you will be climbing the stairs. 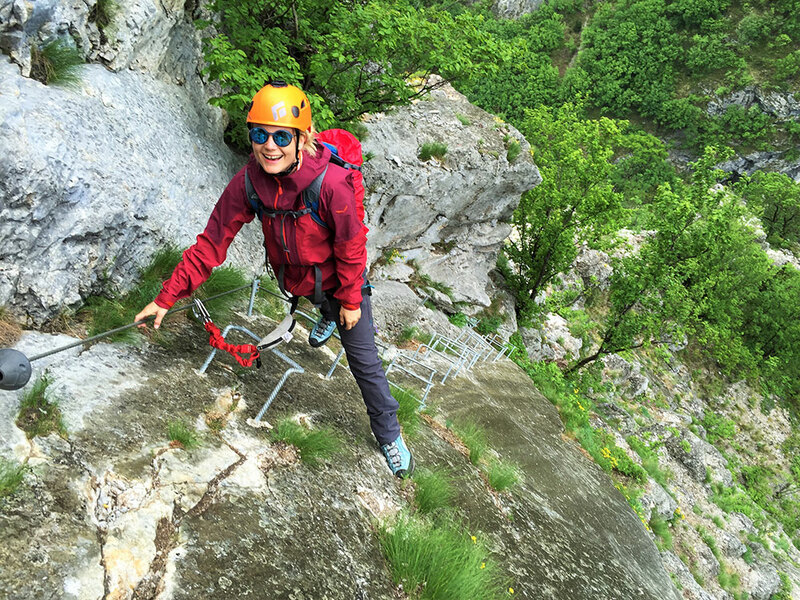 The via ferrata concept originated in the First World War, in the Dolomites. 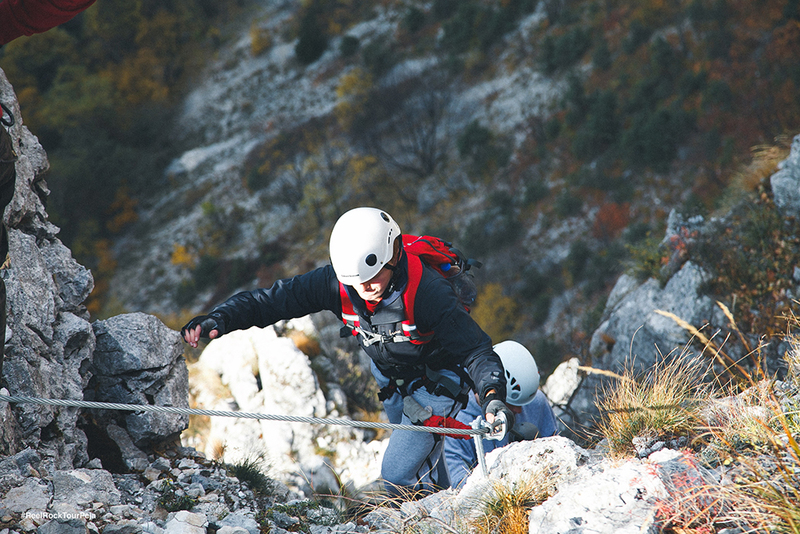 Italian troops used the secure and safe bolted cables to move food and supplies. 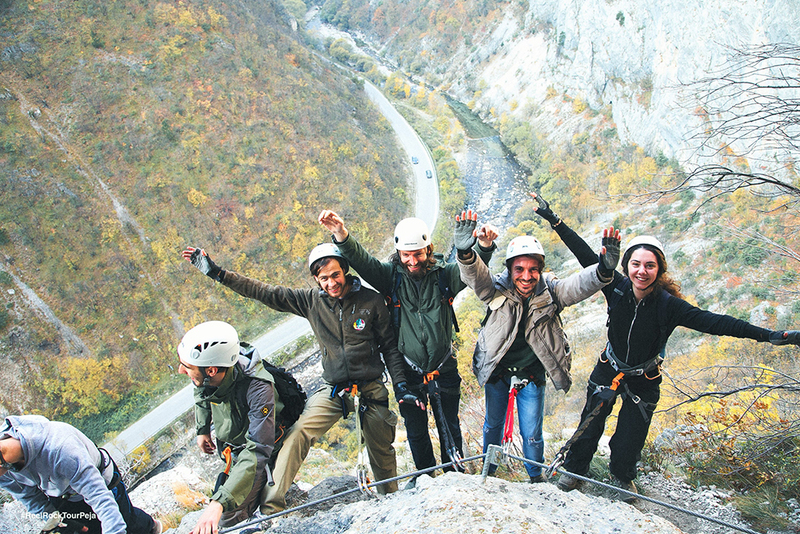 Today’s visitors to Kosovo will get to use mountaineering technique to see the beautiful Rugova Valley and Lumbardhi River below. 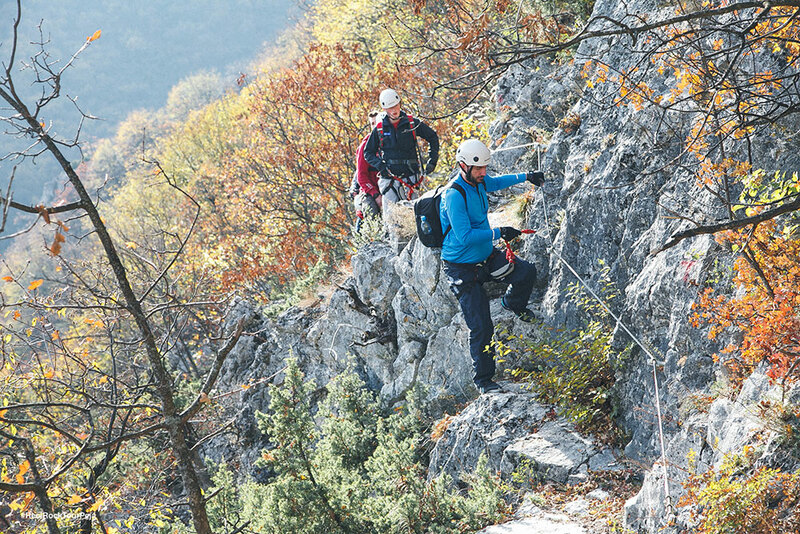 We meet at Hotel Dukagjini in Peja. 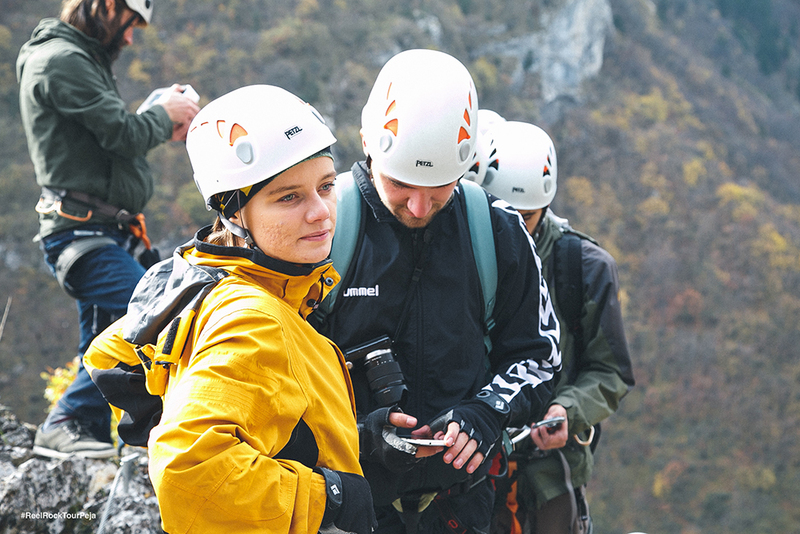 We drive three kilometers on the way to Rugova Valley, do the preparation for climbing via ferrata and start the dancing.